Preheat oven to 350°F. 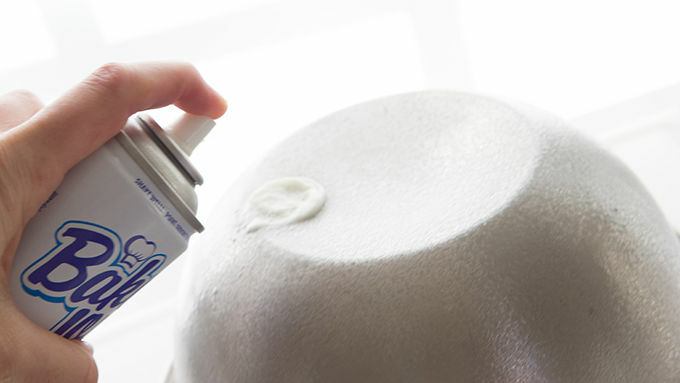 Spray the OUTSIDE of a large metal bowl very generously with nonstick baking spray. Open and unroll Pillsbury™ breadsticks. Roll each breadstick into a rope, laying out half of the breadsticks along a large piece of parchment paper so they sit about 3/4-inch apart. 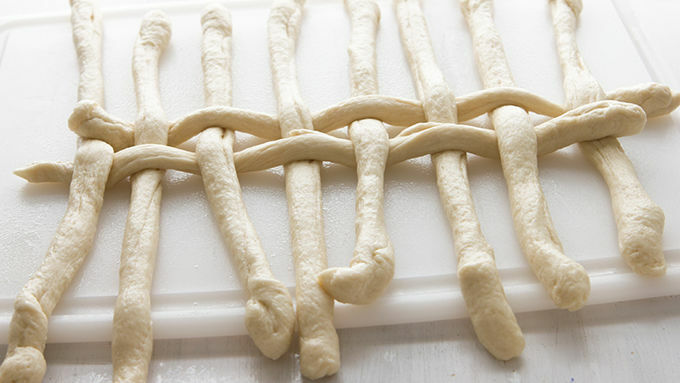 Beginning in the center of the strips, weave the second half of breadstick ropes in and out in the opposite direction to form a solid sheet of woven breadsticks for the basket base. 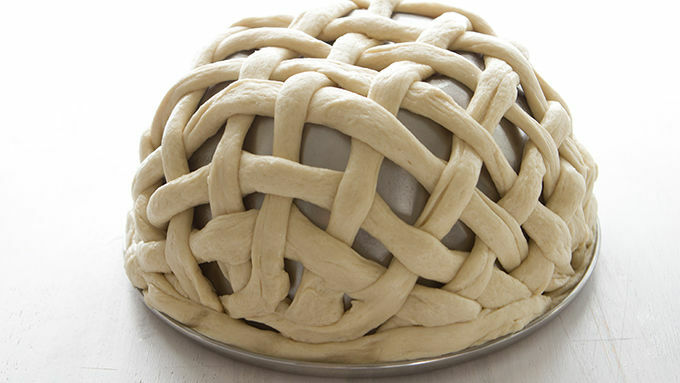 Gently turn the woven breadstick sheet upside-down, on top of the inverted greased metal bowl. Press the bottom edges together so they interconnect at the lip of the bowl. Trim edges if needed to fit neatly. Place on a large baking sheet. 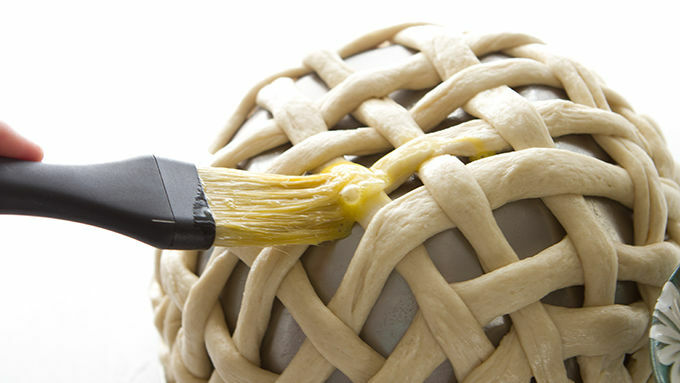 Whisk the two eggs and, using a basting brush, brush the eggs over the top of the woven breadsticks. Sprinkle with kosher salt to create a pretzel flavor. Bake on the bottom rack of oven for 18-24 minutes, or just until the bread turns golden brown. Remove and cool slightly before lifting the bread bowl off of the metal bowl. Cool completely before filling with salad. Just before serving, toss remaining salad ingredients together in a large separate bowl. 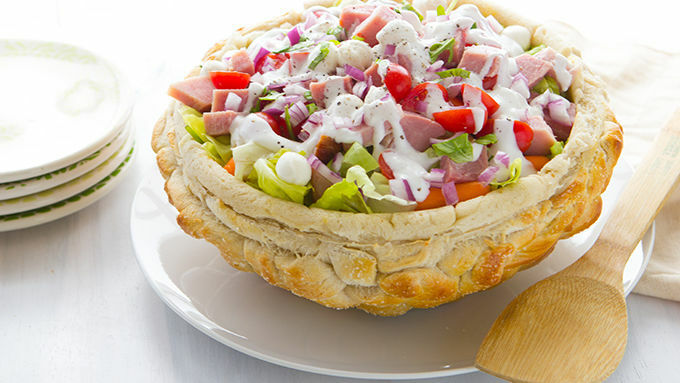 Gently transfer salad to the bread basket, taking care that the salad doesn’t compact. Serve immediately. 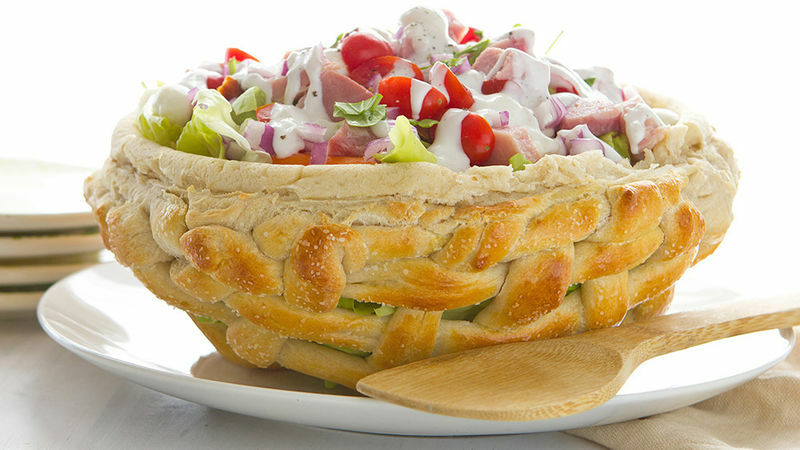 For an Easter-time win, look no further than this bread basket salad! What’s better than a bread basket? Why, a basket made out of bread, of course! 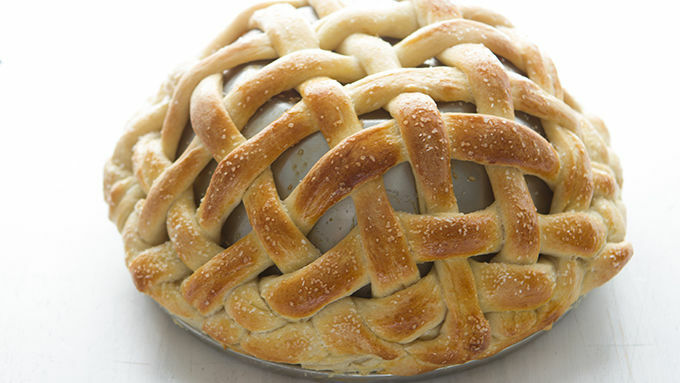 And this basket is particularly delish, because it’s made pretzel style with a golden egg wash and kosher salt. Served with a beautiful butter-lettuce salad with chunks of ham, and set it on your Easter dinner or spring dinner party. This dish is just dying to be the center of attention!